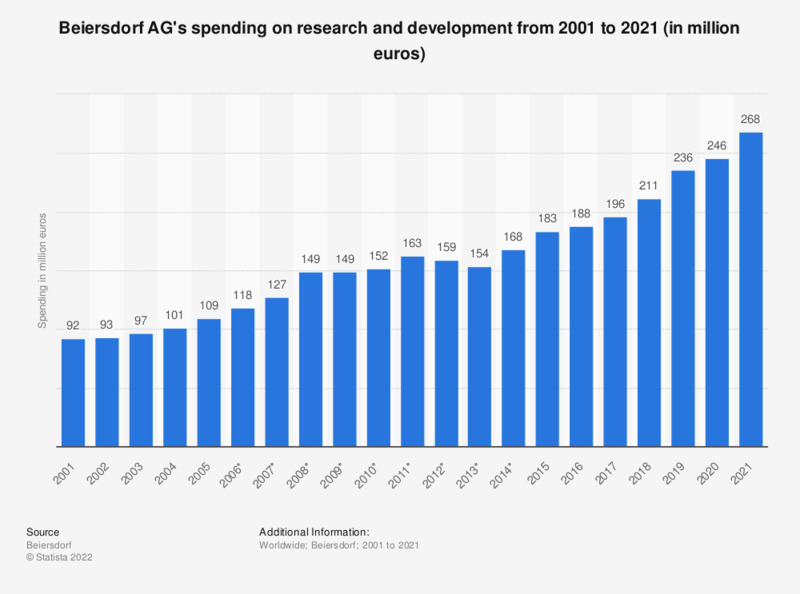 The statistic shows Beiersdorf AG spending on research and development worldwide from 2001 to 2018. Beiersdorf AG is a multinational corporation headquartered in Hamburg, Germany, manufacturing products for personal care. In 2018, the Beiersdorf's R&D spending worldwide was 211 million euros. * Figures include special factors.